INTERIOR: Typical mini cooper interior, with air con that has just been regassed. 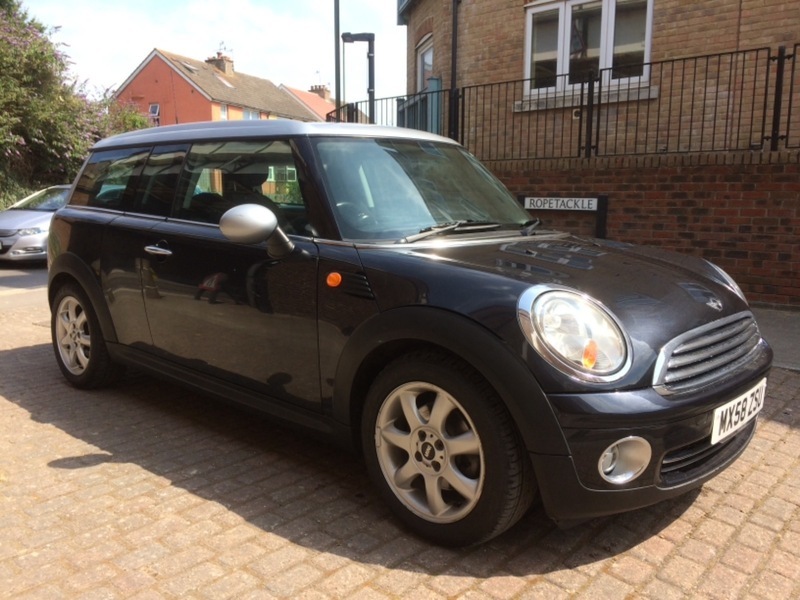 Black cloth and half leather interior which is in very good condition for age. Stero is original and is working great. There is a double sunroof in the car which is also working as it should. EXTERIOR: Nice black metallic and grey colour combo, all panels are in a very good condition and there are no horrid marks to speak of. The alloys are in good condition and the tyres are all healthy. MECHANICALS: The gear box is perfect, it pulls through the gears as it should and the engine is lovely and quiet. On inspection we can find nothing than needs to be addressed. PAPERWORK: 3 owner vehicle with 2 remote keys, Service book with 2 stamps in it and service bills up to 38k. we have the book pack and manuals present. OVERALL; These clubman's have the coolness of any other mini but with a bit more room for your friends. There is a lovely sized boot which has barn door style doors making loading and unloading very easy. Great for dogs BTW!!! Nicely serviced and clearly a loved vehicle. Auto versions of these are not easy to come by I would strongly recommend calling prior to arriving.